Sourcing everything for your wedding day on the High Street isn’t as challenging as you may imagine. This week, our Woodhall Manor wedding planners have put together a list of their top ideas for wedding favours, all of which can be cost-effectively and conveniently sourced from your local High Street. 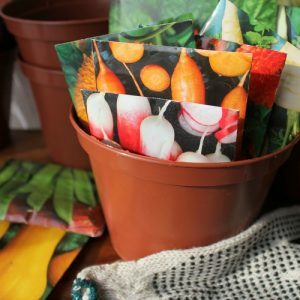 We’ve seen plenty of bespoke seed packets as favours over the years, but if you’re tight on budget and can’t afford to go personalised, we think there’s nothing wrong in giving off-the-shelf seeds to your wedding guests. You can choose from mixes of wildflowers, or maybe a flower, plant or vegetable that is a particular favourite of yours, that all your guests can take home and try to grow. There are hundreds of varieties to choose between, all easily available from your local garden centre. Why not use your wedding as an opportunity to raise both money and awareness for a charity that means something to you. Many of the well known charities sell branded lapel pins and badges and look for a donation of around £1-2 per pin. If you’d like to support a smaller charity that doesn’t have its own branded products, you could simply make a donation and then print cards for your guests explaining what you’ve done. Alzheimer’s Society Forget-me-not pin, £1.25 each or £9.99 for 25 tent cards. You can’t go wrong with edible wedding favours, particularly when the midnight munchies kick in after a night of enthusiastic dancing! 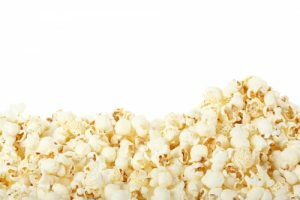 Why not gift your guests some gourmet popcorn which we’re certain will go down a treat. There are lots of different flavours to choose from and multipacks are available from all the big supermarkets. Perhaps not one to be eaten on the night, but what about a jar of jam or honey as wedding favours for your guests to take away? We don’t know anyone that doesn’t appreciate a slice of hot buttered toast liberally spread with jam. For a personal touch, choose flavours that are favourites of you and your partner to give to your nearest and dearest. Save yourself the cost of a sweetie cart by gifting sweets to your guests as wedding favours. 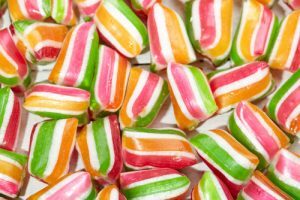 You could stick to the romantic theme of the day and give packets of Love Hearts, or go old school with retro favourites such as Sherbet Fountains. Tricky one this… you need to be prepared to let your guests win big on a ticket you bought! If you can get over this, then why not give your guests a lottery ticket each? Go for the traditional Lotto draw that’s being drawn on your wedding day, or one for the following week in order to build up anticipation. 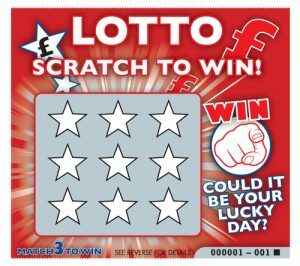 Alternatively, create instant gratification with scratch cards and get everyone into a frenzy over who might win! We don’t think there is anyone alive who doesn’t love a Kinder Surprise egg. Young and old alike go potty for the milk and white chocolate shell, and the added excitement of the surprise gift buried inside. We think this one is a complete no brainer of an idea! As the Spice Girls once said, spice up your life! 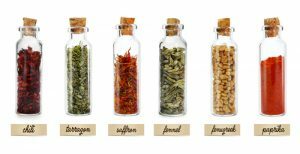 We think a jar of spices from a couple who love to cook or travel is a personal gift that’s a little bit unusual, but still completely practical. Choose a selection of different spices that guests will love to take home and cook with as a unique reminder of your wedding day. We hope we’ve given you some great inspiration to source some fun but cost effective wedding favours. For more advice on all things wedding related, why not give our knowledgeable wedding planners a call today.  And while you’re at it, you could arrange a private tour of our stunning country Manor house. Give us a call on 01394 411 288 or email info@woodhallmanor.com to find out more about Woodhall Manor.